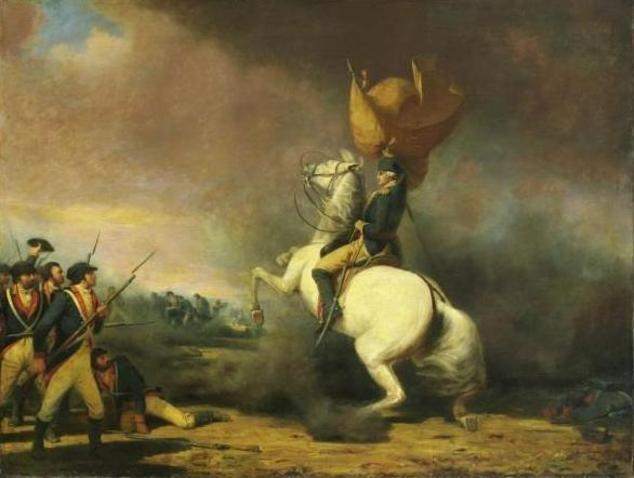 In the morning, Washington dispatched Brigadier General Hugh Mercer to destroy a bridge on the post road between Trenton and Princeton to delay Cornwallis' pursuit. When General Mercer arrived at the post road, he ran straight into 800 men under the command of Lt. Col. Charles Mawhood, marching south from Princeton. Mawhood ordered a charge on the rebels, who were mostly equipped with rifles and no bayonets. Unable to defend themselves against a bayonet charge, they were quickly overrun, trapping General Mercer. 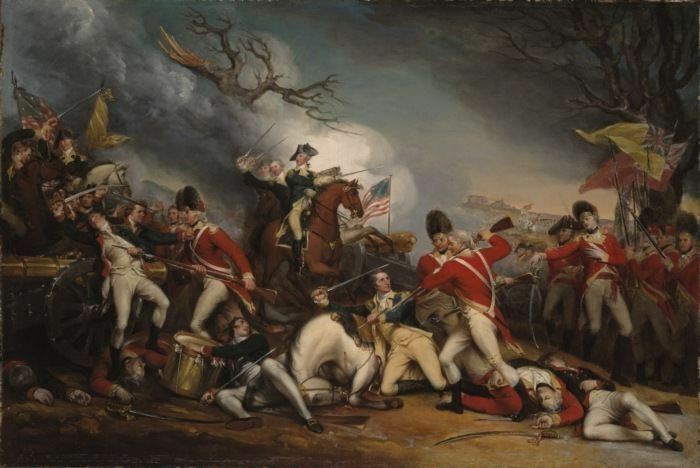 Thinking they had cornered George Washington, the British soldiers shouted, "Surrender you damn rebel!" When Mercer refused and charged them instead, he was bayoneted and left for dead, causing the rest of his men to scatter. Another 1100 militia appeared just then, but when they saw Mercer's men fleeing, they began to flee as well.